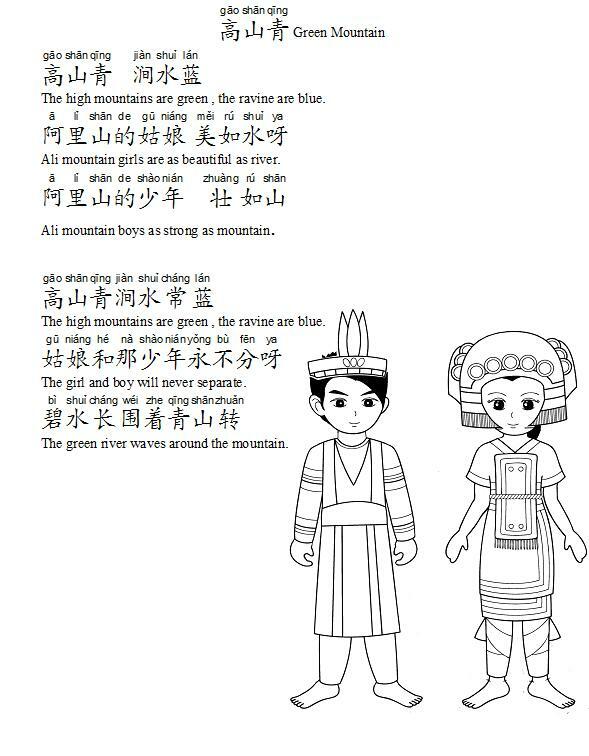 高(gāo)山(shān)青(qīng) 澗(jiàn)水(shuǐ)藍(lán)The high mountains are green , the ravine are blue. 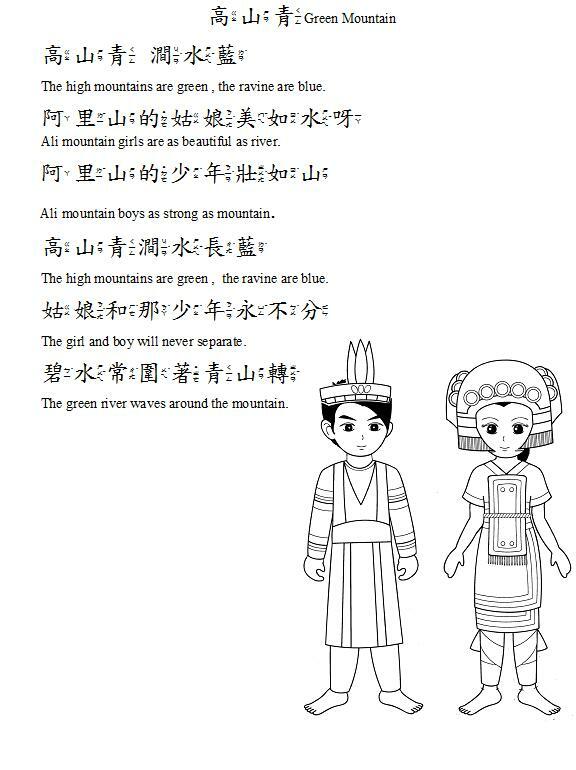 阿(ā)里(lǐ)山(shān)的(de)姑(gū)娘(niáng) 美(měi)如(rú)水(shuǐ)呀(ya)Ali mountain girls are as beautigful as river. 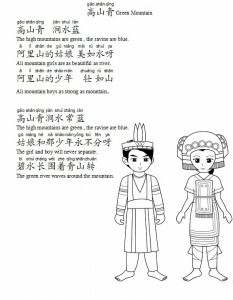 阿(ā)里(lǐ)山(shān)的(de)少(shào)年(nián) 壯(zhuàng)如(rú)山(shān)Ali mountain boys as strong as mountain. 我(wǒ)們(mén)來(lái)唱(chàng) 我(wǒ)們(mén)跳(tiào)舞(wǔ) We are singing, we are dancing. 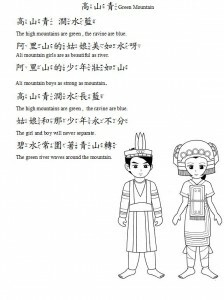 高山(gāoshān)青(qīng)澗(jiàn)水(shuǐ)常(cháng)藍(lán) The high mountains are green , the ravine are blue. 姑娘(gūniáng)和(hé)那(nà)少年(shàonián)永不(yǒngbù)分(fēn)呀(ya) The girl and boy will never separate. 碧(bì)水(shuǐ)長(cháng)圍(wéi)著(zhù)青山(qīngshān)轉(zhuǎi) The green river waves around the mountain.